Brands cannot afford to ignore mothers. Come May and brands have to weave our mothers into their communication campaigns and make us realise how much she does for us, and how we should thank her on Mother’s Day. And with video consumption on the rise, this time we had a lot more interesting Mother’s Day videos than the previous years. You will absolutely love this Mother’s Day video by instant noodles brand, Maggi. The voice of singer and music composer Shankar Mahadevan adds more meaning to the soulful music, while the puppet show of daughter and mother is sure to take you down memory lane in two minutes. This is one hilarious take on how fathers can never be mothers by youth entertainment brand, MTV India. Thank God for mothers indeed! The jewellery retailer roped in actress Deepika Padukone for this sweet Mother’s Day celebration film. Deepika is seen thanking her mom by gifting her a neckpiece from Tanishq. 4. Amazon has no gift for moms! 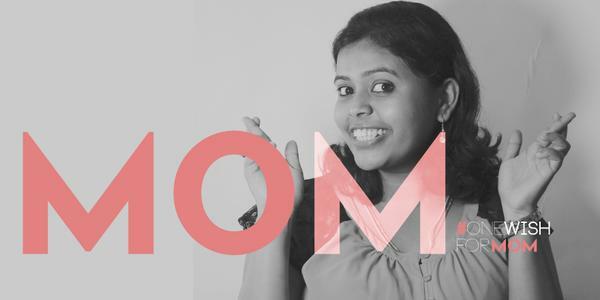 This Amazon India video for Mother’s Day is an amazing one from an ecommerce brand. It shows you why exactly what your mom really wants can’t be ordered online. Philips India has rolled out a 5-minute short film featuring two generations of mothers in a family. While mothers know what their children want all the time, children don’t necessarily pay that much attention to what their mothers want. This video by dish washing detergent brand Vim makes you think about it and do something about it. Kids wear brand, Little Kangaroos chose to salute the spirit of motherhood by bringing forth real stories of mothers fighting against all odds to make their disabled childrens’ lives independant. ‘A mother’s day no mother would want’ is a true story of a mother who is forced to beg for the wellbeing of her children. The video promotes its ‘Adopt a mom’ initiative, that hopes to bring widowed mothers out of poverty. Practo, the search engine for finding doctors weaved in a cool concept in this Mother’s Day video. As a tribute to the first doctor we ever call on – our mothers, it throws light on the number of times we call out for our mothers almost by reflex. The biscuit from Sunfeast got little kids to talk about their moms and what makes them special. Viewers were invited to share their own #MomsMagic stories too. Coupon site, CouponDunia went social experimenting. It asked people what is their mother’s favourite dish, and threw light on the sorry state of affairs when it came to children treating their mom. The brand used this to promote its offers in restaurants #TreatYourMom. India Food Network, the network that gives you all your video recipes, asked people to celebrate every day as Mother’s Day, as mothers are too special to have just one day dedicated to them. The video has several people answering questions about their moms. This video by jewellery brand, Za Amor tells the sweet story of an old mother anxiously expecting her grown up children to wish her on Mother’s Day.